In this Wednesday, Nov. 16, 2016, photo, a U.S. Customs and Border Patrol agent searches for undocumented immigrants passing through the area in Hidalgo. 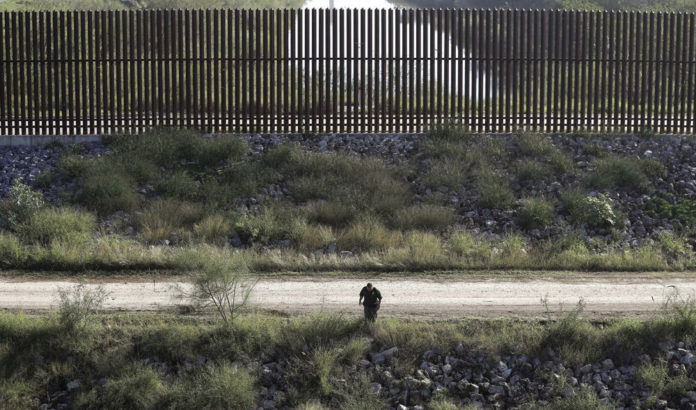 WASHINGTON — President Donald Trump’s border wall, or at least a modified version of it, was approved by the House Homeland Security Committee Wednesday as the panel voted along party lines in favor of Chairman Mike McCaul’s, R-Austin, border security legislation. Glasberg made the announcement in a news conference Wednesday with members of the media and U.S. Reps. Beto O’Rourke, D-El Paso, and Ruben Gallego, D-Ariz. In a notice of intent to file suit, the association cites a July 2017 encounter between Mission-based National Butterfly Center Executive Director Marianna Treviño Wright and U.S. Customs and Border Protection (CBP) contractors. U.S. Rep. Filemon Vela, D-Brownsville, and committee ranking member Bennie Thompson, D-Miss., criticized the proposed taking of lands from private owners and the Trump Administration’s plans to hire 20 more Justice Department attorneys to handle eminent domain cases. The bill presents a “layered” approach to the border by calling for a combination of structures, technology and personnel, and includes $10 billion for building a physical barrier “where practical” as well as $5 billion to shore up the ports of entry — Texas has 29, more than any other state — and provides for the hiring of 5,000 more Border Patrol agents and as many more CBP agents. 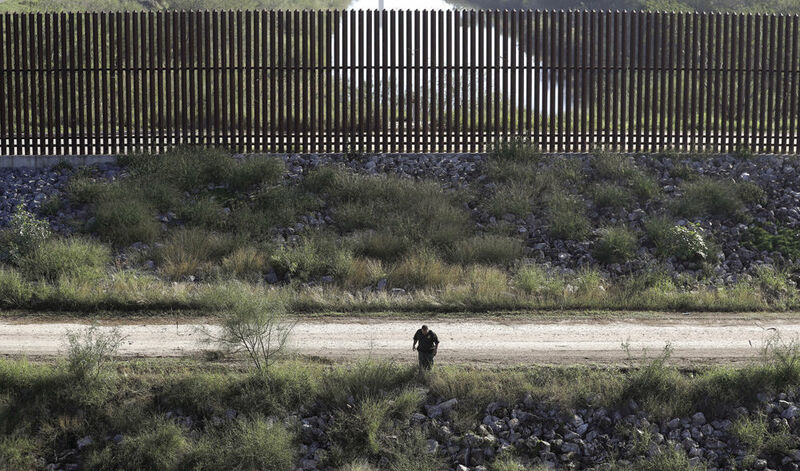 Hurd said that while former Department of Homeland Security (DHS) Secretary John Kelly and recently Trump himself were not calling for a contiguous wall on the border from “sea to shining sea,” he wanted to “ensure” that the areas were protected. The vote was a victory for McCaul who just last week learned he had been rejected as a candidate to be secretary of homeland security, reportedly because the White House did not think he was aggressive enough on “the wall” and fighting illegal immigration. Nonetheless, in a statement after the bill was approved by his panel, McCaul complimented Trump. McCaul’s bill, the Border Security for America Act, has a counterpart in legislation introduced by U.S. Sen. John Cornyn, R-Texas, which are expected to be combined with legislation to resolve the legal status of young people under the Deferred Action for Childhood Arrivals. The Trump Administration has canceled the program as of March 5, giving Congress a few months to come up with a new plan for those brought to the U.S. illegally as children. Cornyn told Texas reporters Wednesday that he expected Congress to act on both border security and DACA this year. “The legislation before us is a 21st century, multi-layered approach that authorizes $10 billion for tactical infrastructure, including the construction of a wall where practical and effective, provides new cutting-edge technology, and empowers the DHS Secretary to take other necessary actions to secure the border,” McCaul said in his opening statement. Thompson attacked Trump’s border wall as a “$15 billion boondoggle” and offered amendments to order consultations with local landowners and to ensure protections for environmental and tribal areas. Vela had a series of amendments, including one mocking Trump’s tweets on the border wall with an alphabetical listing from “A” to “S” of the president’s descriptions of the wall and one he knew would be toxic to Republicans, calling for Mexico to pay for the border wall. Both were defeated without any “yes” votes. “There was never an intent for Mexico to pay for the wall,” he added. McCaul smiled and said “I appreciate the gentleman’s creativity in this amendment,” before voting against it. Vela had numerous amendments and spoke of concerns for the building of a structure on the Santa Ana National Wildlife Refuge area in his district and the National Butterfly Center in nearby Mission. McCaul concluded the mark-up by acknowledging the divisive issues in the bill. “They’re important issues, sometimes emotional,” he said. McCaul who was first elected to Congress in 2004, said he had seen the threats of the border when he was a prosecutor in West Texas. Glasberg, however, believes the government is in violation of the Endangered Species Act. The association’s letter, which is the first formal step in filing suit, provides notice to DHS and CBP for also being in violation of the National Environmental Policy Act. Wright said in July that she encountered government contractors July 20 working on the center’s privately owned, undeveloped land. In additional to violations of the Endangered Species Act, the association’s notice also claims violations of the National Environmental Policy Act and deprivation of property without due process of law. Monitor staff writer Lorenzo Zazueta-Castro contributed to this report.